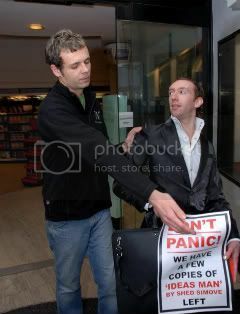 A writer was thrown out of a central London bookstore after launching a one-man fly-posting campaign to boost sales of his own paperback. 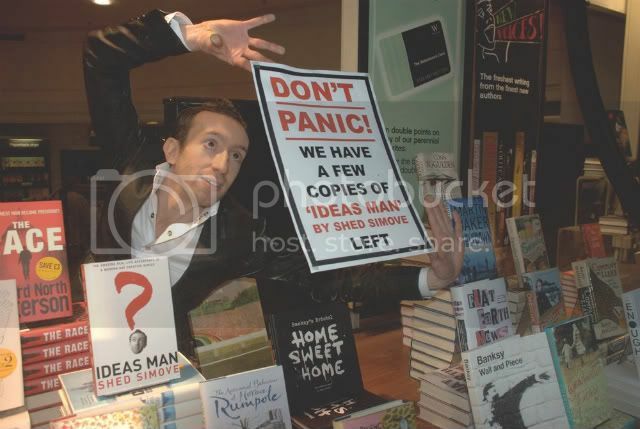 Author Shed Simove walked into one of the UK’s largest bookshops, Waterstones in Picadilly, yesterday afternoon armed with a pile of posters promoting his book ‘IDEAS MAN’. As puzzled staff looked on Mr Simove proceeded to place posters around the store and even gained access to the shop window. 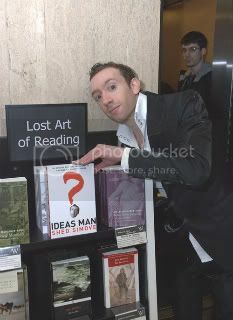 The 36-year-old author also moved copies of his book into prominent positions within the store – placing copies inside the window, on display plinths and even inside the Harry Potter section. Staff at first thought he was an official merchandiser. 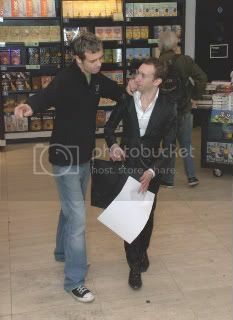 Eventually he was asked to leave by a senior member of the sales team.